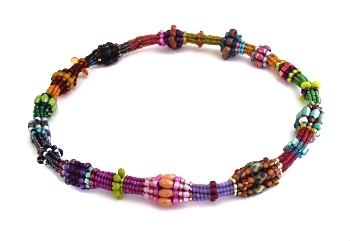 This is a more colourful version of my original Herringbone Rope necklace. They're simple to make- just open all your bead storage and pick out as many tubes of beads as you like (for this one I had 146!). You can keep to a colour theme, such as I did for my first one, or just choose any colours you like, and then get beading! Instructions are now available to bead this piece.